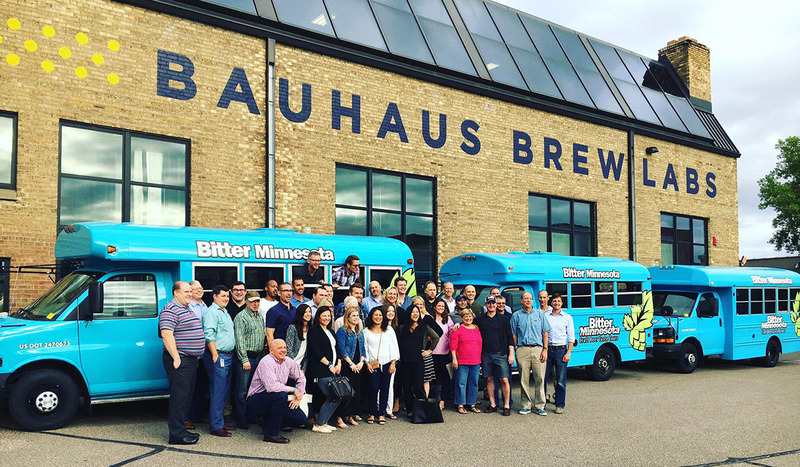 We staff each Bitter Minnesota corporate brewery tours with one of our friendly brewery tour guides to ensure a safe and memorable experience. The guide will help you make beer selections, answer questions and introduce brewery staff (when available). We work together with you to plan the best possible experience, including the length of the tour, number of stops and best breweries to visit. We also have a variety of food options we can build into your corporate brewery tour and we can arrange custom pick-up and drop-off in the greater Metro area at an additional cost.